The T2 can be tied, spliced, or lashed to almost anything. 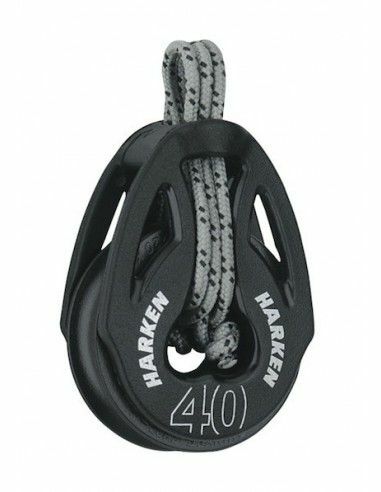 Use for traveler controls, mainsheet and vang systems, cascades, bridles, and more. The T2 comes in 29, 40, and 57 mm sizes. A length of line is included. T2 blocks come in two styles. One uses a loop, the other a length of line. Both methods route the attachment line through the block head and sheave, decreasing the load on the sideplates and acting as a backup for the system. 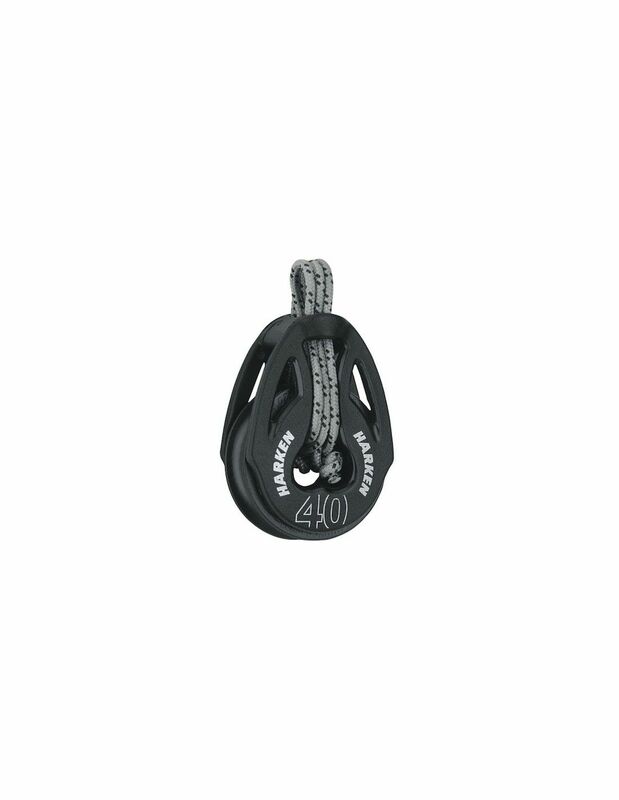 Soft attachments articulate to align with the load for a fair lead, reducing friction. The composite sheave spins on ball bearings with curved bearing races for low-friction rolling. Composite sideplates are fiber-reinforced, high-strength nylon resin. Ball bearings, sheave, and sideplates are UV-stabilized for maximum lifespan.